Dr. Sahar Nadimi is a double board certified facial plastic surgeon and hair restoration specialist. As a facial plastic surgeon, Dr. Nadimi has dedicated her professional career to aesthetic surgery of the face and is one of the few female surgeons in the country specializing in hair restoration. Dr. Nadimi was born and raised in Chicago, Illinois and she completed four years of undergraduate education at Northwestern University. She continued her medical education at the University of Illinois in Chicago, where she was elected into the Alpha Omega Alpha national medical honor society, as well as graduating at the top of her medical school class in 2010. 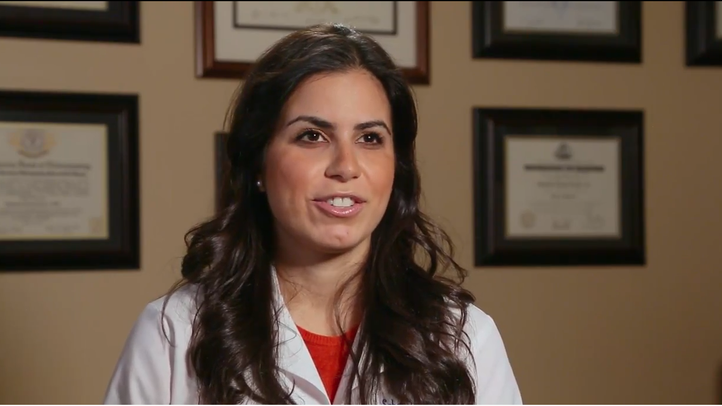 Upon graduation, she then continued her training in Otolaryngology – Head and Neck Surgery at Loyola University Medical Center in Maywood, Illinois under nationally and internationally recognized faculty, including Dr. Raymond Konior. Following surgical residency, Dr. Nadimi completed one of the most sought after fellowship programs in the country with international leaders, scholars, and experts in hair restoration surgery and facial plastic surgery and reconstructive surgery. Facial plastic surgeon Dr. Sahar Nadimi tells us how and why she came to Chicago Hair Institute to help patients achieve their desired appearance through hair transplants and plastic surgery. She has a special interest in helping women affected by hair loss, and has been developing a comprehensive female hair loss clinic. Dr. Nadimi's extensive training and experience has allowed her to improve the quality of life for several patients each day. Dr. Nadimi is currently an Assistant Professor at Loyola University Medical Center where she teaches as an expert in the field of hair restoration surgery and facial plastic surgery. She is a published author in several well-respected journals and books, and is an active member of the American Academy of Facial Plastic and Reconstructive Surgery. Additionally, she has been a sub-investigator in several clinical studies for products such as Botox®, Xeomin®, Kybella®, Restylane Silk, and Belotero®. Dr. Nadimi is particularly interested in the evaluation and management of hair loss and hairline lowering surgery. Although the focus of her practice is on hair restoration surgery, Dr. Nadimi offers the full range of cosmetic and reconstructive procedures and is committed to providing excellence and quality patient care. Dr Nadimi specializes in providing personalized services that are individually tailored to meet the needs and desires of each specific patient. As a patient, you can expect expert care delivered in a professional and compassionate manner.